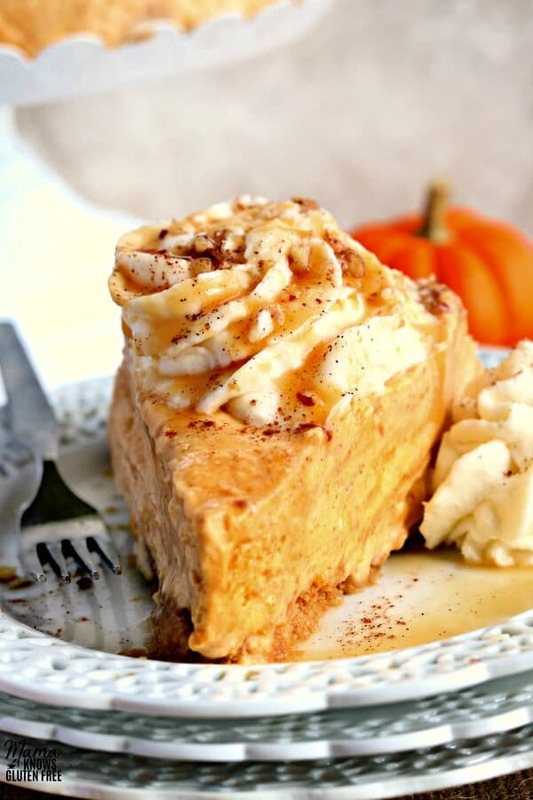 Gluten-Free No-Bake Pumpkin Cheesecake is a luscious but easy to make dessert. 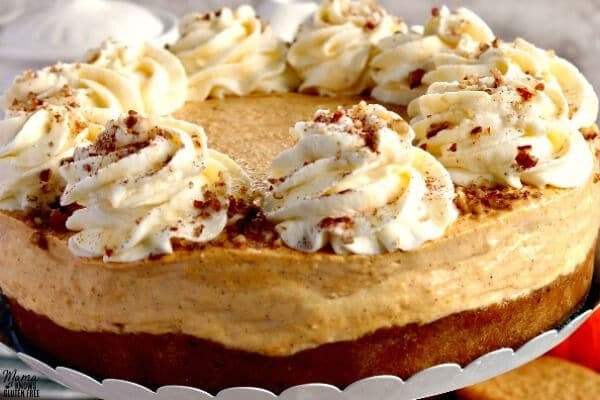 It has all the decadent flavor of a traditional pumpkin cheesecake, without all of the fuss. Disclosure: This post is sponsored by Schär. The opinions are my own. It’s pumpkin pie spice season! This time of year everyone can’t get enough of pumpkin and pumpkin spice flavored… well everything! It’s still hot here in North Florida, so I wanted to make a pumpkin pie dessert without turning on my oven. This no-bake pumpkin cheesecake is a super easy gluten-free dessert that is a real crowd pleaser. Line a 9-inch spring-form pan with parchment paper. You do this by tracing the bottom the pan on the parchment paper and then cutting it out. Pro Tip: I like to use the bottom of a measuring cup to help make sure I press the crumbs down firmly. Make sure to press up the sides of the pan also. The next step is to make the pumpkin cheesecake filling. In a small bowl, combine two tablespoons of water and one tablespoon of gluten-free gelatin. Stir it to help dissolve the gelatin. Microwave the mixture for fifteen seconds, remove and stir the mixture. Then microwave it for another fifteen seconds until the gelatin is completely dissolved. 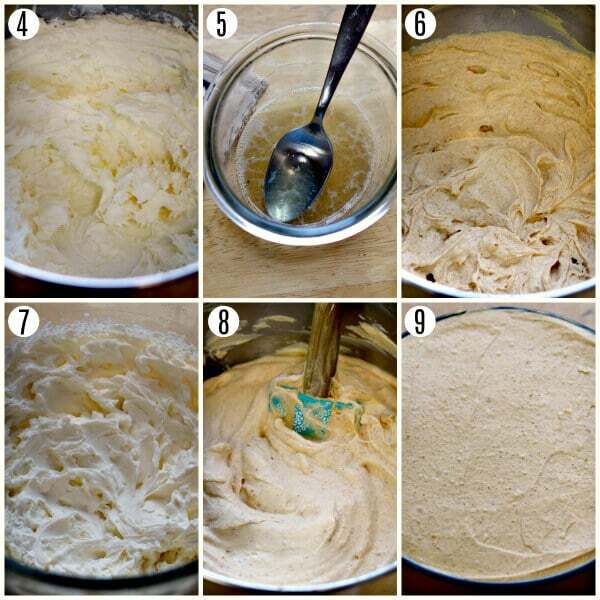 Pour the fully dissolved gelatin into the cream cheese and mix it in with the mixer until it’s fully combined. Pro Tip: Chill your bowl and beaters for at least 10 minutes before making the whipped cream. Cover the cheesecake with cling wrap and refrigerate it for a minimum of 6 hours. The pumpkin cheesecake is best when it has time to set up overnight. 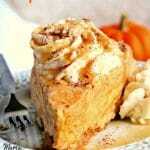 I like to serve the pumpkin cheesecake with more fresh whipped cream and caramel sauce. Enjoy! If you have any left-overs, please cover with cling wrap and keep refrigerated. 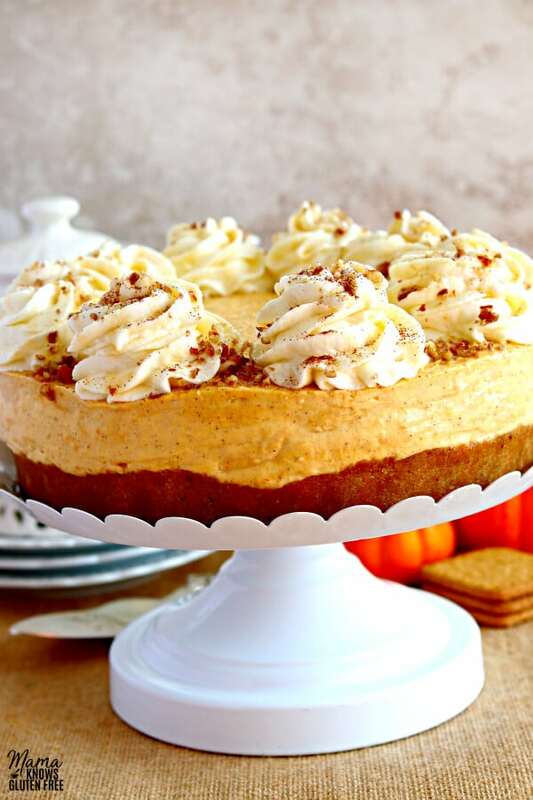 Thank you to Schär for partnering with Mama Knows Gluten Free for this Gluten-Free No-Bake Pumpkin Cheesecake recipe. 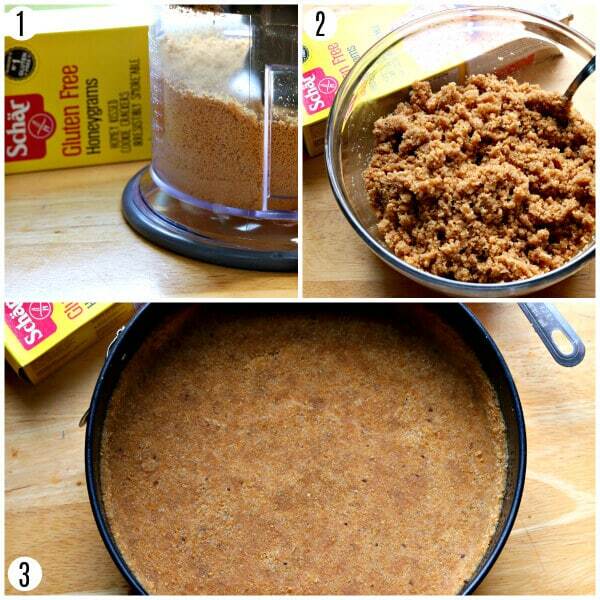 The no-bake crust came together so easily using Schär’s Honeygrams. Their Honeygrams are so delicious. They have a sweet honey taste and a satisfying crunch. They made a perfect crust for the no-bake pumpkin cheesecake! I absolutely love Schär gluten-free products, and I know why they are Europe’s number one gluten-free company! They have everything from certified gluten-free bread, to rolls, pizza crust, cookies, crackers, and snacks. I also love that I am able to find my favorite Schär products at my local Walmart. You can also use their store finder to see where you can find their products near you. I love cheesecake, but I don’t love how time-consuming it is to make. That’s why I love to make gluten-free no-bake cheesecakes. This no-bake pumpkin cheesecake is velvety and smooth. It would be perfect as a make-ahead dessert for Thanksgiving. Every bite is packed with so much incredible cheesecake, pumpkin and pumpkin spice flavor, everyone will be coming back for seconds. I promise no one will even know it’s gluten-free! The next step is to make the whipped cream. In a new bowl combine the heavy cream and powdered sugar, then whisk for few minutes on med-high speed until stiff peaks form. (photo 7) Pro Tip: Chill your bowl and beaters for at least 10 minutes before making the whipped cream. Pro tip for the crust: I like to use the bottom of a measuring cup to help make sure I press the crumbs down firmly. Make sure to press up the sides of the pan also. Pro tip for the whipped cream: Chill your bowl and beaters for at least 10 minutes before making the whipped cream. Pro tip for the crust: Make sure to line your 9-inch spring-form pan with parchment paper. You do this by tracing the bottom the pan on the parchment paper and then cutting it out. 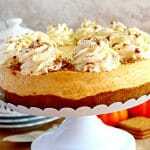 I like to serve the pumpkin cheesecake with more fresh whipped cream and caramel sauce. This is the BEST pumpkin anything I’ve ever eaten. Amazing! 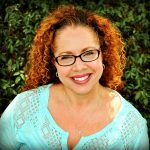 Thank you so much Jjc for the wonderful 5-star recipe review! It makes me so happy to hear that you enjoyed the pumpkin cheesecake. You just made my night! Thanks again.